Since its establishment in the early 80s, the Lebanon based militant group known as Hezbollah had yet to suffer the losses it now experiences in Syria. The losses encountered with the Syrian civil war outweigh all those undergone against Israel combined. With continuous draining of strengths, the most optimistic estimations place Hezbollah’s loss at a thousand members of its elite, while other estimations speak of at least a 3,000 lost. The so-called Hezbollah bereaved a score of noteworthy military commanders, among which – according to Capitan Matthew Levitt and Nadav Pollak- are: Fawzi Ayoub, a Lebanese-Canadian Hezbollah commander who is also wanted by the U.S. Federal Bureau of Investigation, killed in Daraa, southwestern Syria; Hassan Hussein al Hajj, another elite commander reportedly killed in Idlib battles, taking place in northwestern Syria, bordering Turkey; Khalil Mohammed Hamed Khalil, another Hezbollah prominent figure reported dead in Homs; Ali Fayad, killed in Aleppo; Hezbollah’s crème de la crème Khalil Ali Hassan, also killed in Aleppo earlier June; last but not least, Hezbollah’s top leader Mustafa Baddreddine reported killed last May. All of the above mentioned had fell at the hands of Syrian opposition fighters or at the hands of other militias in Syria. Hezbollah had long kept its losses confidential – members killed and which ranks they occupy. The group would only announce its losses at the closest sense of someone else beating it to the punch and publishing such information themselves. The question posed is that whether the losses suffered will eventually influence Hezbollah’s presence as a local Lebanese force or even as an external annex militia to the Iranian Islamic Revolutionary Guard Corps (IRGC)? Unlike Iran, Hezbollah cannot force recruitment upon Shi’ite youth in Lebanon, nor does the group enjoy the means in persuading the young to join its ranks—knowing that most of the group’s recruitment is devised by exploiting religious content, political publicity and materialistic temptations. The so-called Hezbollah Secretary-General Hassan Nasrallah had promised to terminate all Takfiris in a few months. However, after the Syrian war stretching on for five years – four of which Hezbollah participated in- would the group still be able to sustain the fight for as long as it may go? The poorest move taken by the group is that Hezbollah’s exhaustive contribution surpassed the embattlement in Syria; following Iran’s bidding, the group now deploys recruits to Iraq, while already dealing with a state of ongoing alertness in Lebanon. On another level, Hezbollah expended far more than blood and funds, the group had spent all Arab’s world support, tarnishing its reputation which was built on fighting Israel. Should the Iranian venture fail in Syria, the lethal aftermath will not be restricted to affect Hezbollah rather than the whole of Lebanon. The group will perceive danger within its supportive sect as well; Hezbollah grew accustomed to justify its defeat by arguing to have thwarted Israeli ultimate goals—such was the case in the war against Israel in 2006! If Hezbollah fails in Syria, or otherwise keeps getting defeated, the group would be put in a tight domestic situation. They will be unable to garner the support of Lebanese Shi’ites after having embarked on a frontier so far from home, with an excuse as weak as defending their safety. Fighting on behalf of Iranian interests, had reduced Hezbollah fighters to no other than militias for hire, serving anywhere at any time—fighting in Syria came at a high cost without ensuring promised security. Going head to head with Israel has become a far catch, especially with Iran landing the nuclear deal with the West. Hezbollah’s weakened military existence also plays a part. Therefore, Hezbollah’s sole argument for existing as an armed militia has been led out of hand and inexplicable to the supporting populous. 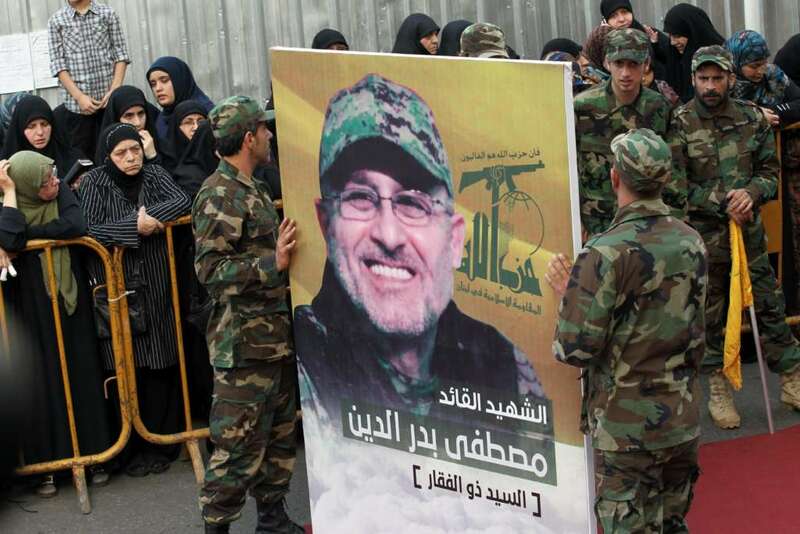 Hezbollah enduring as a Lebanese institution is now considerably challenged. With all that being said and knowing the aftermath it entails beyond Syria and Lebanon, Hezbollah and Iran refuse any solution which removes Bashar Assad from full authority. If Assad is to step down from power, it would translate to Hezbollah’s expiry in Lebanon– In the end, the price Hezbollah paid in Syria is far too steep. The price paid in Syria is exactly what Hezbollah attempted to dodge in its long confrontation with Israel- which is hiding behind civilians in the name of recovering capacities or luring the attack in. The foul enactment in Syria had cost Hezbollah each of its reputation, history, popularity, legitimacy, youth and leaders.